Repo Men Viral: Can You Afford To Miss A Payment? 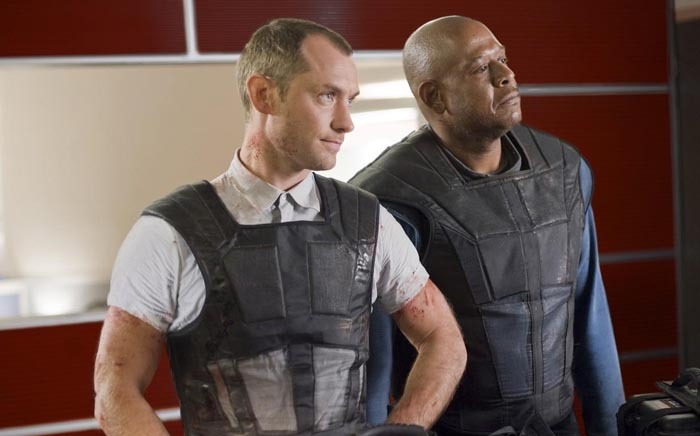 A new viral site for the highly anticipated film Repo Men has hit the Internet today. Based on artificial body part company The Union, the new site allows potential buyers to peruse the full inventory of Artiforg (artificial organs) products. Having problems strolling down the beach? Perhaps you could use an Artiforg heart. Struggling to read this article? There’s an Artiforg eye for that! Can’t afford it? Don’t worry, you can buy on credit from The Union. Can’t keep up the payments? You better worry because Jude Law and Forrest Whittaker are going to chase you down and repossess it at your own personal (read: fatal) expense. The site looks excellent, with very slick infomercials outlining the parts on offer and the easy payment plan. The catalogue is dated 2057 so you have just under 50 years to save up. Perfect for my retirement! The commercial for Jack Cola (click the buzzing link at the bottom) is hilarious. Have a look around the site, it’s very well done, and I’m sure there are plenty of tidbits to be pulled from it. Hopefully the viral will keep up a momentum and show The Surrogates what could have been achieved. In the meantime why don’t you apply for a job online and see what happens? The Career Oppurtunities page even features Jude Law’s character. Alternatively there is a number to call: 1-8776-THEUNION. Right now it just has a corporate message, but that might change later, so give it a ring periodically. What do you think of the site? Are you looking forward to the film? Leave your comments below or join the discussion in our forums. Repo Men opens April 2, 2010.